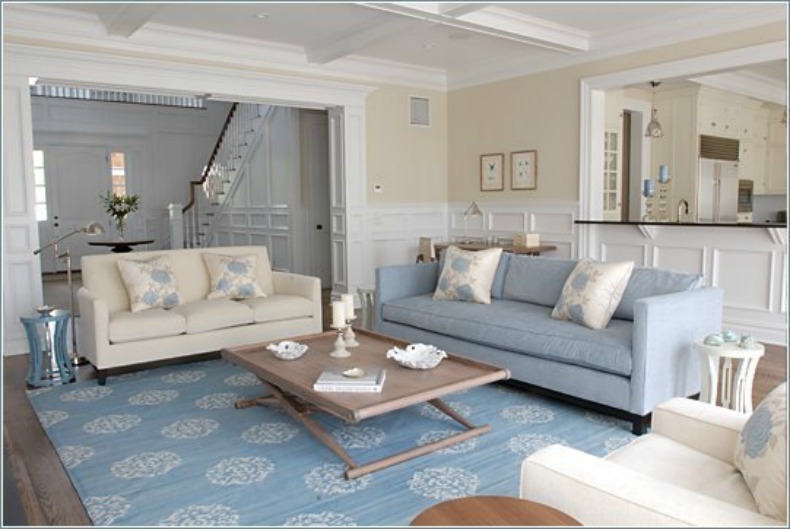 Coastal cottage style with beautiful serene light tones of blue and white. Cottage style spaces that inspire great design. Coastal cottage bedroom with light airy open feeling and a large distressed wood headboard. 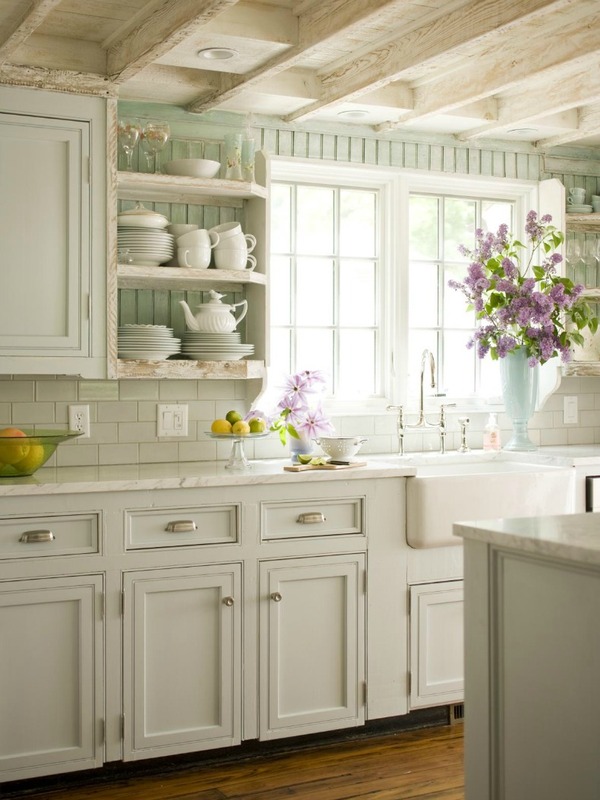 We love this coastal cottage kitchen with white distressed wood cabinets. 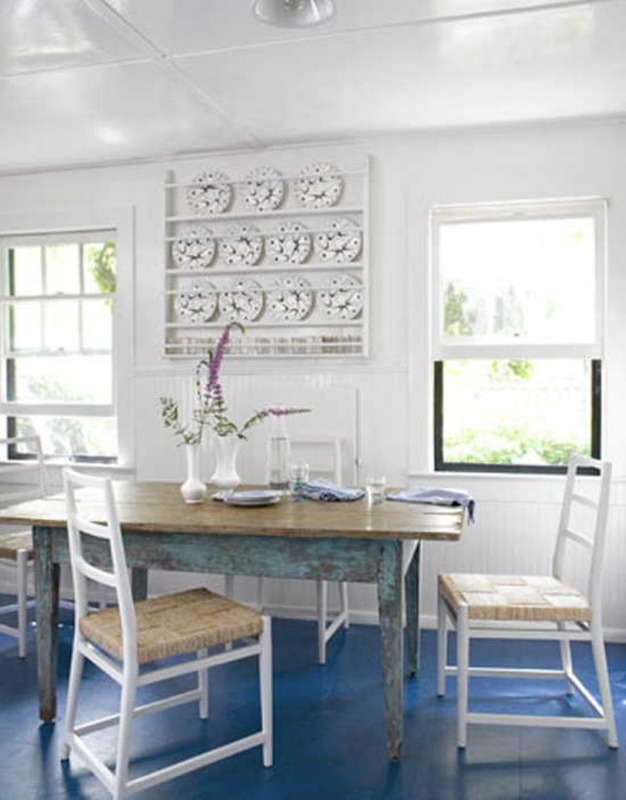 Beautiful painted blue floors pop in this coastal cottage breakfast area. Are the beautiful cabinets in the costal cottage style kitchen available for purchase somewhere or are they custom made?